On March 9 at approximately 11:45 p.m. a Calcasieu Parish Sheriff’s Office deputy initiated a traffic stop on a car near Highway 171 and You Winn Road in Moss Bluff for a traffic violation. 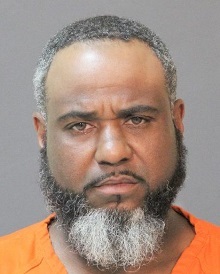 When the deputy spoke with the driver, Barry D. Handy, 39, 1579 Georgia Road, Lake Charles, he detected an odor of alcohol emitting from his breath and observed a half empty bottle of alcohol in plain view on the passenger seat. The deputy then learned Handy had a suspended driver’s license for a prior DWI. After Handy, who has 2 prior DWIs in the last 10 years, performed poorly on a standard field sobriety test, he was arrested and transferred to the Calcasieu Parish Sheriff’s Office, where a breath intoxilyzer test revealed he was over the legal limit. He was booked into the Calcasieu Correctional Center and charged with DWI 3rd; operating a vehicle while under suspension; and a traffic citation. Judge Sharon Wilson set Handy’s bond at $10,750 with special conditions being he cannot operate a vehicle without an ignition interlock device and a valid driver’s license and he may not possess any alcohol. CPSO Deputy Cpl. Aaron Shelton is the arresting deputy on this case.